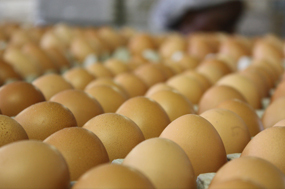 Heidel Eggs is a supporter and member of the Proudly South African Campaign and South African Poultry Association (SAPA).Heidel Eggs is a HACCP accredited institution. 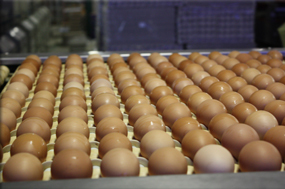 Heidel Eggs produces on average 32000 dozen eggs per day. This amounts to 970 000 dozen per month. We have capacity for 520 000 layers, but have an average of 460 000 layers at any one time. These eggs are distributed to all our customers with 10 delivery vehicles ranging in size from 2 tons to 8 tons capacity. Our customers include Spar, Boxer, Metro, Pick n Pay and B.J. Foods.